When it comes to performing in athletic sports, training is not the only factor that you need to consider. 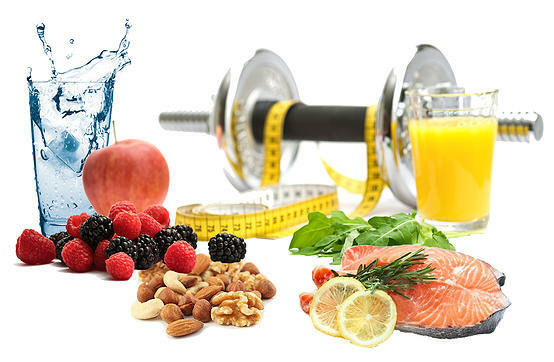 As well as training and exercise, food and nutrition are also an overwhelming factor that will determine your success. All the professional athletes in the world will have a dietician or sports and spinal physio experts advising them on the foods and macros they need to be consuming. With the right information and knowledge about your diet, you’ll be able to beat your PBs and beat your competition. Looking after your diet is challenging and keeping up with a strict meal plan is difficult. Without the help of professional, you need to plan and cook everything yourself. Learning on the go is not pleasant you’re bound to make mistakes. To help you quickly adapt, we have written about the 5 most important nutrients you need to be consuming as a professional athlete. Carbohydrates are one of the most important nutrients you need if you’re thinking about upping your athletic game. Carbs are a key elements when it comes to keeping your body energized, which is important when you’re about to start your event. Training and building muscle is one thing but using those muscles is another. If you aren’t getting enough carbs, you won’t be able to exercise your muscles in an efficient manner. Protein is needed in any sport and is a key factor when it comes to building and repairing muscles. When you are training hard for an athletic event, you’re going to be tearing and ripping your muscle fibers, which leads to muscle growth. If you want a quick recovery you need to be consuming large quantities of protein, otherwise you will experience pain in your next training sessions. Lean meats and nuts are excellent sources of natural protein. Fats are often avoided in the athletic world because people fear it will ruin their body and training. Any sports and spinal physio professional will tell you that healthy fats are incredibly effective when it comes to improving your sports performance. However, not all fats will benefit you and aiming for those healthier, non-saturated fats is key to improving your athletic abilities. Fish and oily meats are a great source of healthy fats and should be consumed throughout the week. Iron is going to be a key nutrient when it comes to keeping your blood healthy. Iron promotes the oxygenation of your blood cells, which enables oxygen to reach your muscles a whole lot quicker. It is important to keep your iron levels up and to watch out as you grow older, as iron levels tend to decrease. Supplements and meats are a great way to keep levels high, which enables your muscles to be oxygenated quicker. Calcium goes hand-in-hand with athletic sports, as it naturally keeps the bones and joints strong and healthy. This is particularly important if you are performing a high-impact sport like running, which involves a lot of heavy impact on the shins and ankles. You should aim to keep your calcium high through dairy products on a daily basis. Having the correct diet when you’re athlete is incredibly important and will be the difference between success and failure. Many professionals will have expert sports and spinal physio teams advising them on the proper nutrition they need to consume. If you are still confused about which nutrients you need to benefit your athletic performance or are interested in how Turramurra can help you, call 9144-1510 now to schedule an appointment with one of our physiotherapists.